Oil Condensing Boilers | How Oil Condensing Boilers Work? How Oil Condensing Boilers Work? 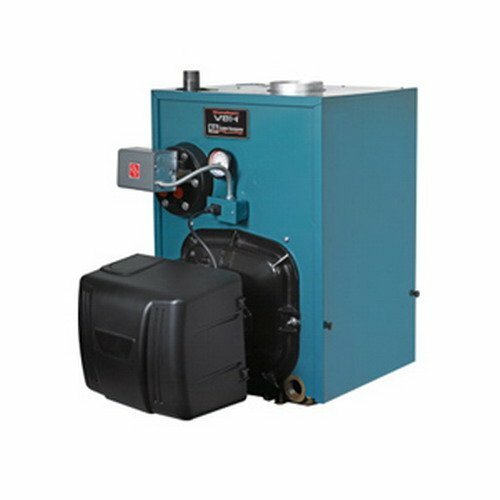 Oil condensing boilers offers a lot of advantages as a heat provider. Many homeowners preferred to use condensing oil boilers because of it features and the simplicity of its maintenance. Here is how condensing oil boilers work. Oil condensing boilers condense the exhaust gases by extracting heat from those same gases and water vapor, instead of letting them escape through the flue. The secret of the condensing boilers is on their design that is on their dual or larger heat exchangers. The heat exchangers of the boiler ensure maximum heat extraction and smaller energy loss. When you use a standard oil fired boiler to heat the water that is used in your central heating system a lot of the heat that is generated in the burner chamber ends up going up the flue and out into the atmosphere. Condensing oil boiler sees this waste as very useful by product that can be used in enhancing efficiency and reducing overall fuel consumption. A condenser is placed in the exhaust area of the oil condensing boiler so that it can capture the heat from the waste gases caused by the burning oil and transfer it to the water in your system. Oil condensing boilers produces two exceptional benefits. First, since the waste gases are being used to heat the water, they are able to keep your fuel consumption down. And as the gases cool, they form water vapor that is much less damaging to the environment. Utilizing less fuel and emitting less waste gasses into the atmosphere helps in reducing your carbon footprint. Second, if you add in good double or triple glazed windows and extra insulation in your walls and roof you will be able to save a bundle on your winter heating bill as well.